Bedrooms and Bathrooms, Oh My! 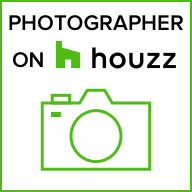 Part of what I do as a Professional Real Estate Photographer, is not only photograph the big open rooms and the exterior, but I also capture EVERY room. Two of the biggest problem areas for people attempting to do this themselves are the bedrooms and bathrooms. I can handle all of that for you as well as show those adjoining areas! No more trying to get these rooms with your phone or getting chopped off vertical pics that look like they are in dark holes. Previous Post HAPPY NEW YEAR!! $21Million in Sales! Next Post Of course you should use a Professional Real Estate Photographer!